Kevin Barrett's invitation to a radio debate with Mr. "Dalton" launched some bitching fish-wives on the CODOH Cesspit into an instructive festival of mendacious insinuations, paranoid and somewhat-less-than dishonest suspicions and downright lies about my humble person. In the following I shall have a look at these lowly characters' deplorable utterances, one by one. Now that's interesting as Roberto has attacked Dalton so many times on his blog. You do know that Roberto will say, "I have already countered Dalton's points on the net so he has to respond to me first. Me not debating him is being turned into me being a chicken by him when he is the chicken for not responding to my posts to his work on my blog." And I think that there is something to this would be stance of Roberto's. I suspect Roberto will ONLY come onto Dalton's show if Dalton promises to let Roberto talk about the issues where he disagrees with Dalton that Roberto already brought up on his blog. After all, if presumably, Dalton never responded to Roberto's critiques, the radio would probably be an acceptable venue for Roberto if Dalton promised he'd deal with Roberto's counters on his blog straight on AND NOTHING ELSE on the radio show. An invitation to Mr. "Thomas Dalton"
The above is the title of a blog I just wrote on the Holocaust Controversies blog under http://holocaustcontroversies.blogspot.com/2010/04/invitation-to-mr-thomas-dalton.html , after I learned of your claim to have invited me to a debate with Mr. "Thomas Dalton". I don't remember having received any mail from you, but maybe I did and inadvertently deleted it because I thought it was spam (as I said in the blog, I only learned of your existence today). So if you did send me a mail, could you please forward it again for my records? Thanks! As you seem to be in contact with Mr. "Dalton", I would also appreciate if you could inform him of my invitation in the aforementioned blog. Needless to say, you are also invited to have a chat with me on the Usenet, the RODOH Forum, the VNN forum or any other online venue of your choice, provided that I have access to such venue and debate there is not curtailed by a moderator like it is on the "CODOH Revisionist Forum". Just let me know when and where. I'm actually a free-speech-fanatic radio host and 9/11 revisionist, not a holocaust revisionist, and certainly not an online-forum debater on that topic! Since I posted the blog entry you saw, I got in touch with Andrew Mathis, who will rebut Dalton during the second hour of Saturday's show IF we can get him Dalton's book in time (working on it - the publisher will overnight him the book as soon as they get a snailmail address). Meanwhile, are you also available this Saturday, 11-midnight GMT, in case for some reason Andrew can't do it? Sorry about the email address mixup. I probably should have invited you earlier, instead of concentrating my efforts on professors in Holocaust and Genocide Studies departments, which turned out to be a wild goose chase. Thanks for getting in touch, and I hope you and/or Andrew will be able to join me for the second hour of Saturday's show. > I noticed that you seem well-informed and willing and able to take on the Holocaust revisionists, and was wondering if you could rebut Thomas Dalton on my radio show this coming Saturday, April 24, 11-midnight GMT. My audience includes many people who are skeptical of all official stories, including those that are true, and Dalton's work has had an impact on some of these people. So I decided to invite Dalton for the first hour of my show, and then bring on someone to rebut him for the second hour. If you can't do that, I would be grateful if you would suggest someone who could. Please find below my replies to your e-mail after each paragraph. First e-mail address ceased to exist a long time ago, and I was never an active member of THHP - all they got there from me is a translation, IIRC. I'm actually a free-speech-fanatic radio host and 9/11 revisionist, not a holocaust revisionist, and certainly not an online-forum debater on that topic! Since I posted the blog entry you saw, I got in touch with Andrew Mathis, who will rebut Dalton during the second hour of Saturday's show IF we can get him Dalton's book in time (working on it - the publisher will overnight him the book as soon as they get a snailmail address). Meanwhile, are you also available this Saturday, 11-midnight GMT, in case for some reason Andrew can't do it? Sure, but how would you contact me in Portugal? I can give you my cell phone number, but calling me there will cost you a fortune. Another possibility would be Skype. I just signed your petition. 17 hours your time, when you start interviewing "Dalton", is 23 hours my time. I'll be online at that time waiting for your call. If there should be any changes of plan please let me know asap, because I usually do other things on Saturday night. Great! You're confirmed. AFR will Skype you at 18 hours my time, 24 hours your time. I appreciate your willingness to devote a Saturday night to this! I'll soon be posting a notice about the show at http://www.truthjihadradio.blogspot.com If you want to send a short bio, feel free, otherwise I'll do my best. Why not 17 hours your time, 23 hours my time? Please excuse me if I'm not understanding something, but am I not supposed to listen to your interview with Mr. "Dalton" and then comment his statements? As the second hour guests, you and Andrew will get the call from the network at 24 hours your time. Dalton will be off the line, and you both will be on the line, throughout the second hour. You will not be going head-to-head with Dalton -- though if everyone agrees, we could schedule that kind of show in the future. For now, I think the differences between the two positions will be more clearly articulated without the kinds of interruptions and back-and-forths that would happen with four people on the line at the same time. As our readers can see, I made no conditions whatsoever as concerns the contents or topics of the show. Drew J's wishful thinking again got the better of him. I’ll be listening to what Dalton has to say starting 11 hours GMT tonight, then receive a Skype call from American Freedom Radio and respond to Kevin’s questions and/or comment on the remarks of Mr. "Dalton", whatever is on Kevin's program. Unlike certain persons I always keep my appointments. The next bitching fish-wife on the CODOH thread thread Dear Andrea Merkel: How much do Raul Hilberg and I owe you? is "jnovitz", who is obviously identical with the repulsive troll who posted on the RODOH forum under many aliases, last as "little grey rabbit". This deplorable fellow is obviously concurring for some "compulsive liar and paranoid wacko of the year" – award in "Revisionist" cloud-cuckoo-land with the smear he sends my way in his posts of Thu Apr 22, 2010 5:13 am and Thu Apr 22, 2010 5:21 am. There is a good reason why Roberto Muehlenkamp is not allowed on here. He has been caught using adobe acrobat to manipulate screenshots, rountinely misrepresents quotes from printed books, he has been known to attempt to contact employers of internet revisionists to denounce them and may have been involved in the effort to introduce some faked historical material into the deathcamps.org website. There are no less than 4 lies in this relatively short paragraph. Lie # 1: "caught using adobe acrobat to manipulate screenshots". What is true is that jnovitz/little gray rabit insistently accused me of having manipulated screenshots, did so on various RODOH threads (Escape from ARC (merge) with understanding Convergence, Understanding Convergence: Eastern European Jews and History as Instrument: Take III and This little Drew J freak seems to be really pissed about me …, among others) and ended up withdrawing with his tail between his legs (or rather his bunny years) after I conclusively demonstrated the imbecility of his accusation in the posts linked to in my post 12150. His nevertheless continuing to peddle this accusation, moreover on a forum that he well knows I have no access to, is further evidence that jnovitz/lgr is the lowliest of scum and that lying comes to him as naturally as breathing. The same goes for lie # 2: "routinely misrepresents quotes from printed books". Actually there was but one instance in which jnovitz/lgr accused me of having misrepresented a quote from a book, and that accusation was swiftly and conclusively slapped around his ears (see my RODOH posts 12000, 12069 and 12070), whereupon jnovitz/lgr obviously decided to focus on the "screenshot manipulation" nonsense instead. My name is Roberto Muehlenkamp, and I am a German citizen domiciled in Portugal. I am writing to you in my capacity as a moderator of a historical discussion forum that you may find under http://p102.ezboard.com/brodohforum . I thought it might interest you to know that a rather unpleasant character, a Holocaust denier posting under the alias «Lamb Supreme», among others, has claimed to be one of your attorneys or solicitors, by the name of David Phillips. As I believe this to be a false claim, I hereby kindly ask you to forward this message to Mr. David Phillips, in case you have an attorney or solicitor by that name, so that he may contact me and clear up this matter. Should there be no David Phillips at Herbert Smith LLP, your communication in this sense will be sufficient clarification. «Lamb Supreme» first claimed to be Mr. David Phillips at Herbert Smith in his post # 11 under [HTML tag edited out]http://p102.ezboard.com/frodohforumfrm10.showMessageRange?topicID=1573.topic&start=21&stop=39 . He repeated the claim in his post # 73 under http://p102.ezboard.com/Will-our-chief-troll-Lamb-Supreme-/frodohforumfrm25.showMessage?topicID=414.topic . My name is David Phillips. I am a solicitor at Herbert Smith solicitors in London. I have recently been passed your email, concerning claims on your website by a poster named "Lamb Supreme" that he is in fact me. This is completely untrue. I have no idea who "Lamb Supreme" is, or why he is claiming to be me. I have no idea whatsoever how he has found my name, or why he is now claiming to be me. "My name is David Phillips, a solicitor with the firm of Herbert Smith in London. It has been brought to my attention that someone under the name of "Lamb Supreme" has been posting messages on this site, falsely claiming to be from me. This is absolutely false. I do not know who "Lamb Supreme" is, nor do I know how he has got hold of my name. These posts are absolutely nothing to do with me. Please ignore any further posts from this person in the future." I would kindly ask you not to post my email address on the site. Thank you for bringing this matter to my attention. Both messages were at the time posted on the RODOH, on a thread I'll try to find when I have time (the links in my former mail were broken when that thread was moved by a moderator). So much for my "attempt to contact employers of internet revisionists to denounce them". Lie # 4: "may have been involved in the effort to introduce some faked historical material into the deathcamps.org website", relates to another of jnovitz/lgr’s idiotic insinuations, expressed in his RODOH post 2820. In the blog I linked to, as our regular readers will remember, my fellow blogger Sergey Romanov had exposed the carelessness of Mr. Chris Webb, webmaster of the site http://www.holocaustresearchproject.org/, that had led this gentleman to fall for a still from the movie "Escape from Sobibor" passed off as a contemporary photo of the Treblinka "tube" by a certain "Andy Schmidt". This individual reader judges that the bunny remains the lying bunny he has always been, his attempted smear job stopped as dead in its tracks as his 12 man squad in Lithuania. Nice job, Roberto, exposing the charlatan once again. Currently if you go to either those sites you are likely to get a "blocked page"
This web page at www.deathcamps.org has been reported as an attack page and has been blocked based on your security preferences. Attack pages try to install programs that steal private information, use your computer to attack others, or damage your system. Some attack pages intentionally distribute harmful software, but many are compromised without the knowledge or permission of their owners. Given Roberto Muehlenkamp and friends have engaged in a prolonged campaign of internet vilification against these two sites and their owners, to me they seem likely suspects. In otherwords, by all means wind up Roberto Muehlenkamp, it is a harmless and entertaining sport, but it is pointless to debate someone so dishonest and with so little intellectual integrity. And I think it is a good idea not to do it here. 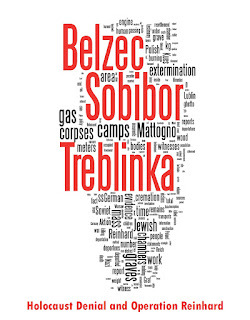 I should add, my suggestion that Roberto Muehlenkamp has some association with the breaching of the security of the two domains deathcamps.org and holocaustreseachproject.org is only suspicion, based nothing more than past observation of his unscrupulous nature. Mr. L should contact Google about the site he brags so much about, by the way. I get warning messages when trying to access that site today, like the following:"
ie almost as soon as the infection occurred, Roberto was aware of it. Even more suspiciously it occurred very soon ( a few days) someone with very vague association to H.E.A.R.T published an internet rankings comparison showing that H.E.A.R.T massively outranked Holocaust Controversies blog. The infection happened literally a few days later. You draw your own conclusions. Actually I wouldn’t put it past H.E.A.R.T. 's Carmelo Lisciotto to have created said infection himself as a means of smearing his perceived opponents, considering his history of fake smear blogs and other dishonest behavior documented in Sergey Romanov’s series H.E.A.R.T. (holocaustresearchproject.org) exposed, especially the blogs H.E.A.R.T. defenders and their methods and H.E.A.R.T. defenders and their methods (cont.). Links to further examples of this behavior have been posted today by Lisciotto's alter ego "Herodotus2010.rodoh" in his RODOH posts 74 and 75. Thanks for helping me make my point, Mr. Lisciotto! The poor fellow keeps repeating the "vehemently hate www.holocaustresearchproject.org" and "conspiratorial concerted effort" nonsense, thereby confiming my characterization of him as a paranoid monomaniac. Actually the articles collected here were the work of Sergey Romanov alone, and as anyone reading them will recognize they were related to the less-than-commendable behavior of H.E.A.R.T. 's founding fathers. A period of two and a half years between the series of articles starting on 30.10.2006 and ending on 14.04.2007 on the one hand and the article of 20.11.2009 on the other furthermore suggests that H.E.A.R.T. isn't exactly one of the author's priorities. Get a life, Mr. L.
As ARC is still a good site (thanks to great researcher Webb's exceptionally wise decision to freeze it after he had appropriated it instead of ruining it with "Andy Schmidt" fakes), that is really a shame. I would therefore appreciate if you could contact Google and fix the problem asap, Mr. L. Thanks in advance! No irony there, as I sometimes link to http://www.deathcamps.org// now that http://www.death-camps.org/ (the mirror site that used to be maintained by other former members of the ARC research group after Webb appropriated the original site) is no longer online. 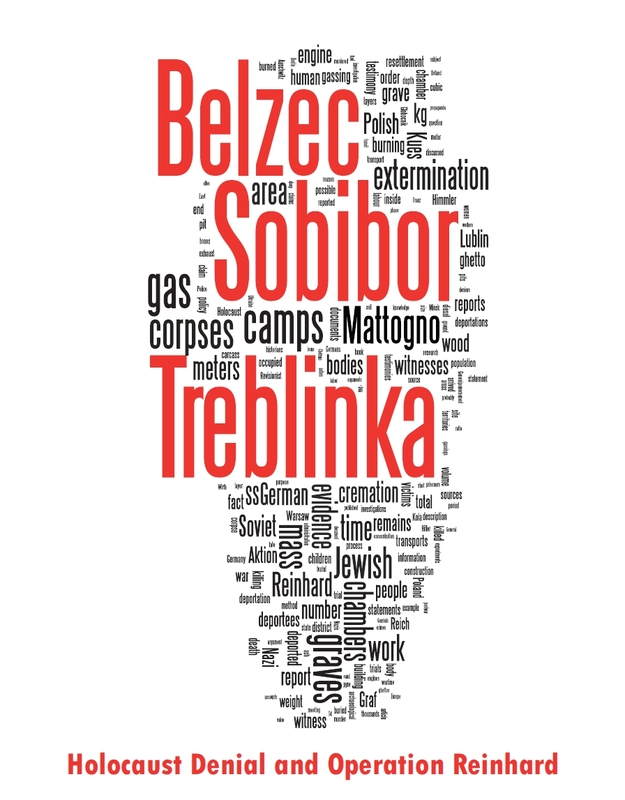 I last did so in my blog Belzec Mass Graves and Archaeology - Continuation (2), IIRC. Maybe jnovitz/lgr can explain why I should have tried to damage a site that I use as a source, if I had the manipulative inclinations he is obviously projecting onto me plus the computer skills required to bring about such infection. Actually my abilities in this respect do not go beyond using standard programs from a user perspective. I don't know if any of my "associates" (jnovitz/lgr must be referring to my fellow HC bloggers) has such skills, but my ability to judge a person’s character would be a very bad one if any of them descended to the level of Lisciotto-style manipulations. Mr Herodotus, I found your Alexa rankings extremely informative. Would you be able to pass on my congratulations to the HEART team from me? I see them as adversaries, but I can always appreciate an opponent that fights fair. Like the equally narcissistic Lisciotto, jnovitz/lgr obviously projecting his own pathological concerns onto me when assuming that I would be worried about or angered by H.E.A.R.T. having far more visitors than HC. Needless to say, his babbling about my "little intellectual integrity" and "unscrupulous nature" is another exercise of self-projection. The next bitching fish-wife on the CODOH thread Dear Andrea Merkel: How much do Raul Hilberg and I owe you?, who calls himself "Karl Radl", will be dealt with in my next blog.